The price of iron ore dropped to a fresh nearly five-and-a-half year low on Thursday amid a pollution clampdown in top consumer China and a supply surge. The CFR 62% Fe benchmark import price at the port of Tianjin tracked by The SteelIndex was pegged at $75.60 a tonne on Tuesday, down 0.5% on the day after five straight session declines. The steelmaking raw material is now trading at the lowest price since June 15, 2009 with year-to-date losses of close to 44%. While the additional supply from Australia and Brazil has been baked into the price, recent weakness is being blamed on Beijing’s efforts to clean up smog as the city gears up to host the Asia-Pacific Economic Cooperation summit. Beijing is imposing the most stringent pollution controls since the 2008 Summer Olympics, forcing steel mills in Hebei province, the country’s steel producing hub in the region of the capital, to curb production and idle sintering plants. Because Chinese ore is of such a low quality most Chinese fines require sintering (fines are mixed with coking coal and partially smelted) before being fed into blast furnaces. Sintering adds to the environmental impact and costs which does not fit well with Beijing’s green agenda and plans to eliminate overproduction in the steel sector. China’s steelmakers have been substituting domestic supply and reducing the percentage of fines in favour of pellets and so-called “lump” ore from Australia, South Africa and South America which lowers costs and cut pollution by reducing the need for sintering. Premiums for high-quality lump have risen for five straight weeks on tight supplies, hitting the highest since March according to Platts data. 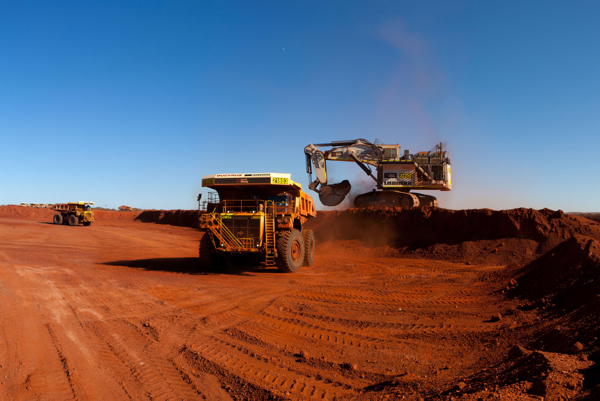 Spot seaborne iron ore lump premiums rose to $0.215 per dry metric tonne unit, translating into an effective price of some $89 a tonne for 62% Fe. Another factor pushing prices down is Chinese port inventories. While stockpiles have declined from record highs over the summer, at just over 100 million tonnes remain up by a third since this time last year.